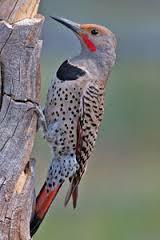 Yesterday, while walking the dogs, a Northern Flicker hopped across the sidewalk less than a meter in front of the girls. The girls, attentively sniffing the grass, barely noticed, but I marveled. 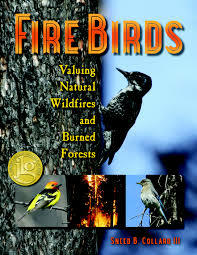 I marveled, too, reading Fire Birds: Valuing Natural Wildfires and Burned Forests by Sneed B. Collard. The photographs captured my attention first, as I saw this book sitting on the shelf of my local public library. Full page photos of fire scenes contrast with close-ups of the birds who help rebuild the forest after the fire. The opening chapter, “Inferno!”, quickly drew me in. Written in the present tense, it describes a forest fire from the initial strike of lightning to the vast wasteland left behind. It suggests that the forest might not be quite as devastated as it seems. The chapters that follow explain how birds use burn areas. We learn that more than fifteen kinds of birds prefer to nest in burned forests. Here they can find an abundance of food and places for shelter, often in the absence of predators. Fire Birds explores the complex life of a forest after a fire. 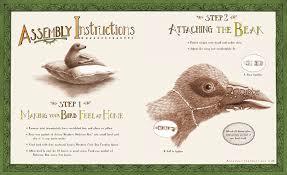 It contains many features of non-fiction that can be used as models with students including a powerful introduction, a table of contents, index, glossary, text boxes featuring different birds, and interesting headings. A family of ducks comes every year to nest in the courtyard of my school. There are usually two females, one or two males, and, eventually, many ducklings. So far this year, I’ve only seen two males, but I am hopeful that we will have ducklings before too long. Then, we will see teachers and students standing against the windows overlooking the courtyard, happily eating them. It is our Rite of Spring. Thinking about the ducklings, my mind wanders to several new books about birds. 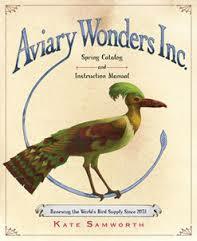 Aviary Wonders Inc. Spring Catalog and Instruction Manual by Kate Samworth is a wonder. In the guise of a catalog from a future in which builds are extinct, it presents bird part you can use to build your own bird. 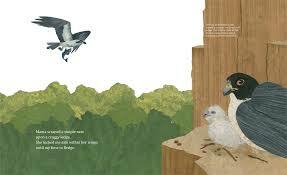 It is apart parody of sales catalogs, part cautionary tale about environmental issues, part natural history of birds. There is so much here and so many ways you can use this in the classroom: persuasive writing, descriptive writing, how to writing….. you get the idea. 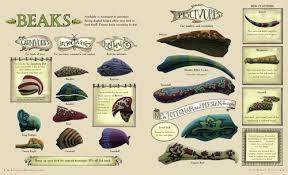 Here are some pages to show you what to expect. 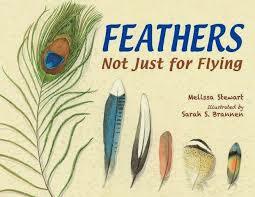 Feathers Not Just for Flying written by Melissa Stewart and illustrated by Sarah S. Brannen, is a more traditional take on natural history. Stewart focuses on just birds’ feathers and the many different purposes of feathers. Each page or two-page spread has a statement with a simile in large print like “Feathers can shade out sun like an umbrella.” Then there is a text box with smaller print describing how one particular bird (like the Tricolored heron, Florida Everglades) uses its feathers in this way. The text is simple, but the ideas are big. 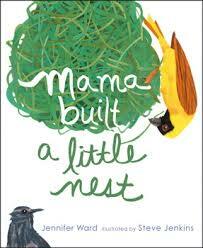 Finally, we have Mama Built a Little Nest written by Jennifer Ward and illustrated by Steve Jenkins, which focuses, as you might guess, on nests. 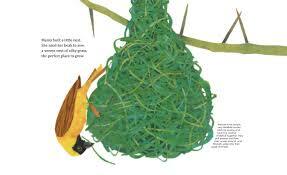 More suitable to younger audiences, the rhyming text explains the different ways birds make nests for their young, allowing children to learn amazing facts about different birds.